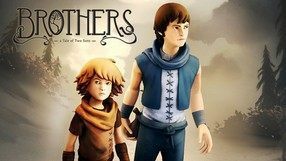 A third-person action game set in a fantasy world inspired by Celtic mythology. Title was developed by the British studio Ninja Theory, known for Enslaved, Heavenly Sword, and DMC: Devil May Cry. In the game we traverse a dark, mythical world, full of references to popular stories, characters, and monsters born in the imagination of the Celts. Protagonist of the game is a female warrior named Senua, who embarks on a dangerous journey to the land of the dead. As you might have guessed, during her journey, the heroine faces scores of dangerous enemies, with which she usually deals using a sword. Using a variety of combos and special abilities, Senua makes her way to the destination of her journey. 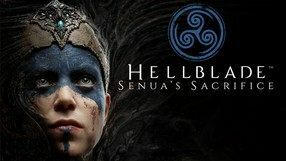 Although a fully independent production, Hellblade features high-level visuals, and the gameplay mechanic brings several innovations to the slasher genre, in which the developers from Ninja Theory had become specialized over the years. Third-person perspective action game with RPG features and a sequel to the warmly-received production created by Cavia in 2010. The second installment was created by a different developer – Platinum Games known for the Bayonetta series. Despite that, Tarou Yokou, the creator of the first game, retained his position as the director of the project. The game takes place in distant future in which Earth was destroyed due to war against deadly machines. Humans, having found a safe haven on the Moon, created the limited YoRHa series of sapient androids to fight on their behalf. The YoRHa combined forces with androids of older generation and together they face the rebel machines. 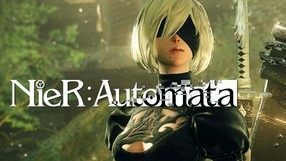 Two out of three protagonists of NieR Automata are completely new characters, but during the game player will also encounter characters from the first installment of the series as both stories are connected. Gameplay mechanics of the game are similar to ones in its predecessor and they offer an attractive combination of hack-and-slash, magic and RPG. An action adventure game to be available on PlayStation 4 and later on also PC. The title was designed by the industry legend and co-creator of the Metal Gear series, Hideo Kojima. The story of Death Stranding focuses on the evolution of human race and on the “connection” motive which redefines the role of failure and death in videogames. American actor Norman Reedus who is well known for his role in The Walking Dead TV series plays the role of the main protagonist of the title. Reedus previously worked with Kojima on the canceled survival horror Silent Hills. 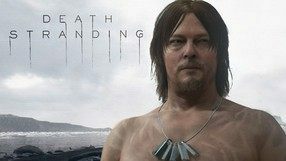 The gameplay mechanics of Death Stranding combine features of action games, adventure games and RPGs. However, the developers have ambition to move beyond the traditional understanding of these genres and create a completely new quality which will combine the traits of traditional video game with symbolism and new ways for experiencing the story and fates of the characters. 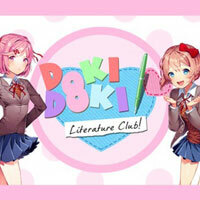 Developed by Team Salvato, Doki Doki Literature Club is an unusual visual novel. You assume the role of a member of a school literature club and meet its other, female members. Soon, however, the plot takes a very interesting twist. 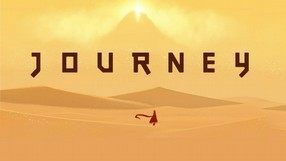 Developed by the thatgamecompany studio, Journey is a remarkably unique exploration game, in which we embark on a journey through the desert sands. Our goal is to reach the summit of a great mountain, constantly visible on the horizon. A distinctive feature of Journey is the fact that we do not get a lot of exposure - the production lacks a classic narrative and does not have any dialogues; the nature of our protagonist and of the world we are in, which once harbored a mighty civilization, is all but unknown to us, a mystery, the true nature of which we can only speculate. The game consists of semi-open levels, which contain various puzzles and hidden locations. After passing through each of them we arrive at the next stage and the accompanying cut-scenes allow us to gradually discover and interpret the subsequent fragments of the plot. Journey also has one very intriguing curio - while playing the online mode we can encounter other players and at any time start playing in the co-op mode - but we still have to make do without verbal communication. All of the above is distinguished by an unusual, melancholic atmosphere and very artistic visuals, with focus on a minimalistic but incisive graphic style. 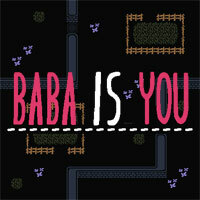 An old-school RPG from the independent developer Toby Fox, referencing the Earthbound series. 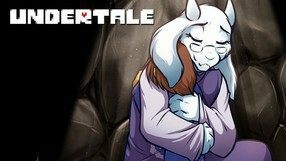 Undertale's story takes place in a world that was witness to a lengthy, cruel war between humans and monsters after a long period of coexistence between both races. It ended with humans driving the monsters underground. Many years later, somewhere in the vicinity of the now-legendary mount Ebott, a little girl looking for shelter from the rain finds a cave and in it a mysterious hole, through which she falls. We play as this girl and explore the underground world, facing various monsters and interacting with various characters. 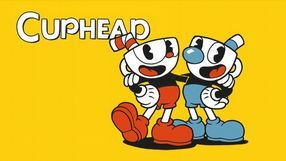 The game’s most characteristic feature is the innovative battle system – we can engage in direct combat in the form of arcade minigames or avoid more difficult fights through talking and complimenting. An exploratory adventure game in which we find ourselves in an alternative reality created from data stored on the server. 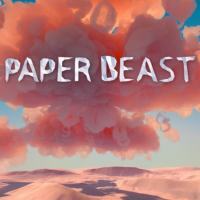 Paper Beast gives us a wide world at our disposal, which we explore without looking at any targets imposed from above. 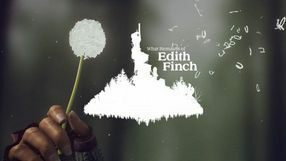 What Remains of Edith Finch is a unique adventure game developed by Giant Sparrow, which focuses on the evanescence of life. The game tells a set of short stories about the fate of the members of a certain American family that has been cursed. The history told in those episodes takes place over a span of one hundred years in Washington state, a place filled with forests and mountains, a location that resembles a little the cult TV show Twin Peaks. In terms of gameplay mechanics, What Remains of Edith Finch is your typical first-person adventure game. The climate and gameplay mechanics change depending on which family member we are currently controlling. What connects every story told in the game is the fact that in each and every one of them our protagonist dies. Another common ground between them is the titular character of Edith, who tries to discover her family's dark secret and find out why she is the only surviving member. 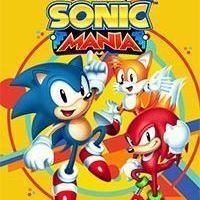 A 3D platformer that came out as a reboot of one of the most popular adventure game series, featuring the titular Sonic the Hedgehog. This production was created by a SEGA’s subsidiary, Sonic Team, employing people who helped create the series and its most important iterations. In terms of gameplay mechanics, the game is set firmly in the franchise's initial premise, allowing you to play as the main hero (or one of his many friends), and traverse a series of locations where your goal is not only to reach the end of a map, but also to do it as quickly as you can. For most of the time, action is presented in third-person perspective, however, the game features also also some classic 2D levels. Each location is filled with traps and opponents, but also various power-ups that can boost your score or protect you from damage. 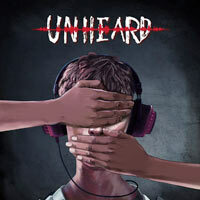 An unusual logic game and a satirical take on the communism. It is the first commercial project from Lucas Pope. 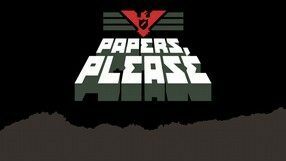 The story is set in a fictional socialist country named Arstotzka. The country was at war with the neighboring Kolechia for a few years, but now it is over. The city of Grestin has become a crucial point on the new border between the two countries. The player is put in the shoes of a new customs officer whose task will be to carry out border checks in order to neutralize potential smugglers, spies, and terrorists. Before giving someone permission to enter the country, the player not only has to check their papers and verify the data against a primitive database, but also order searches and inspections. Despite the simplicity of mechanics, the game features an extensive story campaign which ends in one of several alternative ways, depending on the player's choices. 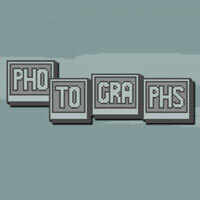 Photographs is a combination of adventure and logic game elements created by the EightyEightGames studio. By analyzing the titular photographs, we get to discover the extensive storyline, which concerns the tragic fate of five characters. A criminal adventure in which we play the role of a detective with a special device that allows him to hear conversations conducted in the past. In this way, the hero gains clues and evidence to identify those involved in the case and bring the investigation to an end. The title pays tribute to popular radio plays. 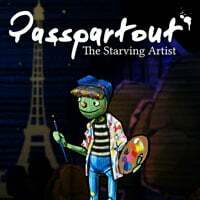 A two-dimensional adventure game with platformer features from the independent Polish team at Juggler Games. It takes players to a fictional city ruled by the Evil King and his army of robots. Certain districts have been separated from others by a high wall, and this ghetto is used to contain the so called “worse part of society”. The players take control of two kids trying to survive in the cruel new reality. 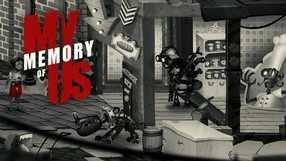 My Memory Of Us uses side-view camera angle to present the world, and the controlled duo must support each other to overcome all obstacles and solve all puzzles. One of the game’s selling points is a simplified dialogue system based on symbols, as well as its setting being inspired by actual life in Poland under German occupation during World War II, especially inside Jewish ghettos. It also stands out with the monochromatic colors of its visuals. A platformer with puzzle game features, developed by Upper One Game studio. 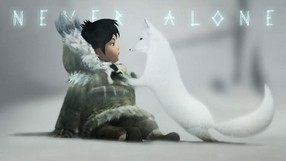 The story of Never Alone is based on Inuit beliefs, with players taking control of a young girl from the Inupiaq tribe who sets on a dangerous journey with her white fox to save her people and stop the arrival of the eternal blizzard. During her adventure, she will meet many creatures from Inuit legends, such as Sky People, Rolling Heads or Blizzard Man. Never Alone presents its world from the side perspective, as we traverse vast levels, avoid traps, fight enemies and solve puzzles. The single player campaign lets us switch between the girl and the fox, both of which have unique abilities that are necessary to progress; however, control is split between two players in the cooperation mode. Never Alone features good-looking three-dimensional visuals accompanied by a soundtrack based on traditional Inuit music. Interestingly, the narrator speaks in Inuit language and the dialogue is translated into English through subtitles. 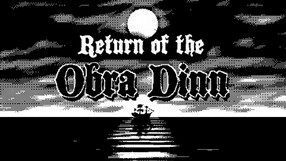 A fairy tale adventure and arcade game created by the Swedish Starbreeze studio, known for such titles as Kroniki Riddicka or Syndicate. The production tells the story of two brothers travelling through picturesque lands in search of medicine for their sick father. During the game, we control both characters at the same time, and most of the challenges we face require their close cooperation. 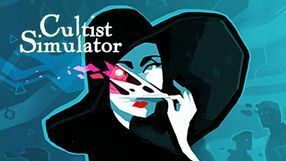 A digital card game, in which the players become leaders of different cults. The action of the game is set in the 1920s and is inspired by the works of none other than H.P. Lovecraft. 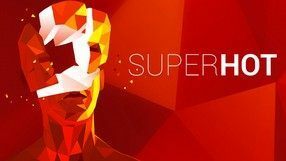 SUPERHOT is an unusual FPS developed by Blue Brick studio. Finished in just 7 days, the first version of the game was presented during the 7 Day FPS Challenge in 2013. Gameplay of SUPERHOT consists of eliminating subsequent opponents in sterile rooms and corridors, where time stands still as long as the player doesn't move. The game focuses not on the shooting itself, but rather on achieving the mastery of time control which allows you to dodge bullets while accurately aiming at the heads of your enemies. You start the game with no weapons, but you can find them on enemies’ corpses. Ammunition is limited and even a single shot can kill your avatar, forcing you to restart the game. SUPERHOT features a minimalistic visual style with a palette of colors basically limited to white, dominating the environment, contrasting with red opponents and marks left by the bullets. 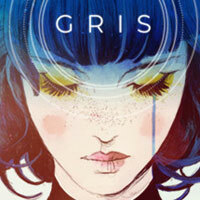 Gris is an artistic 2D platformer. We are guided by the actions of the title girl trying to deal with the painful past. We travel through a beautiful, surreal world, solving puzzles and overcoming simple platform sequences. 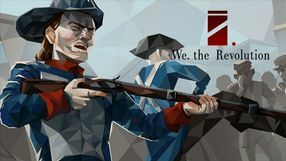 The game is the work of Nomad's debuting studio. 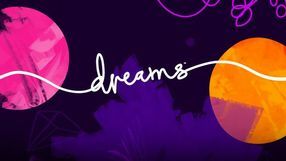 The first project by Giant Squids, an independent studio founded by Matt Nova – the artistic director of the extremely successful game called Journey, created for PlayStation consoles. 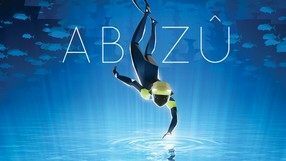 Abzu is an interactive exploration production in which you reveal secrets of a lively underworld. The player assumes the role of a cat-like diver who delves into the ocean and meets schools of fish, groups of aquatic mammals, as well as some other truly majestic creatures and remnants of an ancient civilization. Abzu offers a fluid control system which enables you to perform underwater pirouettes, flips, and gives you a chance to ride sea creatures, such as a shark. Sometimes, getting to a place requires a skillful use of available abilities or solving a logic puzzle. Yet, Abzu puts a strong emphasis on its artistic value. Therefore, the game enchants players with a riot of colors, an abundance of diverse underwater life, and amazing special effects. An original puzzle game in which the player can manipulate the rules of the game and the limitations present in each of the hundred stages. They are described with simple messages, which we modify, thus influencing the ways of interaction with objects or even changing the target waiting to be executed. A refreshed version of the famous action adventure game that tells the story of a goddess in the form of a wolf that faces the evil. The HD edition features improved graphics. 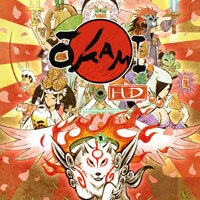 The developers of Okami HD aimed to retain the unique visual style of the original game and adapt it to modern standards. The original version was released in 2006 on PlayStation 2.